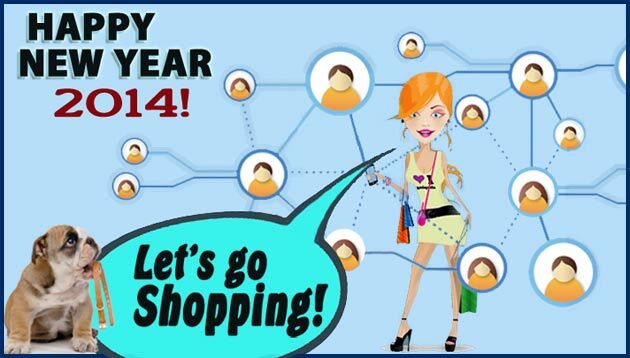 Develop a pet business Web presence and make 2014 your best year yet. Your customers are online and they're looking for you. According to Wikipedia, 81 percent of people in the United States now use the Internet. Being online is no longer a simple yes or no proposition; today it’s important that your pet business is on the Internet. People browse the Web to research products and to locate retailers. Many use personal computers, but the use of tablets and smartphones is on the rise. By midyear of 2013, 34 percent of all adults owned tablets and, according to a recent ComScore Report, 62 percent own a smartphone. The research says 84 percent of smartphone owners use their phones to browse Facebook, with 74.3 percent using mobile apps to access it. Another 9.6 percent use mobile apps for YouTube, 25.9 percent for Instagram, and 21.1 percent for Twitter. That's a lot of mobile use! A Web presence doesn't mean an online store. You may want to expand into that, but it's more important that your business has an active presence, and that it can be found. The best reason to develop an online presence is to build "brand awareness," getting your pet business known. Then you can actively use your presence to engage existing customers, encourage word of mouth, promote your products and services, and ultimately direct people to your establishment. The traditional advertising methods consist of print, broadcasting (radio and TV) and direct mail. These are still valuable tools, but with the advent of the Internet moving into commerce, people are online for everyday research and purchasing. Effective marketing must include an Internet presence for your pet business. The three biggest areas driving the market on the Internet are social media, email and mobile devices. 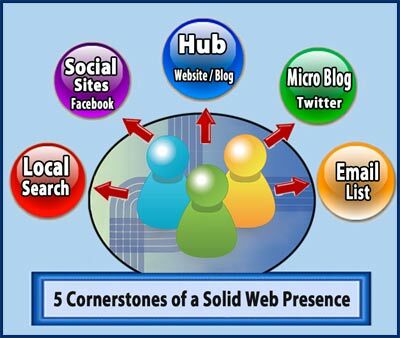 A hub is a great way to build the foundation of your website presence. A hub contains a business description along with business details like location, hours and contact information. But this is just a start. To keep your hub active, you can update it with new items, promotions, sales and more. Get as creative as you wish with graphics and videos. Then provide a call to action by inviting them to visit your business. Usually a website and/or blog is used as a hub and then Facebook, Twitter and all your other Internet elements will direct visitors to it. If you are short on time and resources, or don’t want to delve into developing a regular website, a blog can be used extremely well. A business page on a social site such as a Facebook or Google+ could also be used. However, these types of pages are more limited in scope, and so restrict the type of presentation somewhat. Using a blogging and publishing platform is one of the simplest ways to create a foundation hub. There are a number of platforms available. Jon Russell, Asia editor of The Next Web, presents a good overview in his recent article, The 15 best blogging and publishing platforms on the Internet today. Which one is for you? WordPress is a popular platform and can be used in conjunction with your website hub. But WordPress also shines as a standalone hub because it is customizable and can incorporate a page structure similar to a regular website. It is available in two free formats — WordPress.com, which provides hosted domains; and WordPress.org, which allows free hosting on your own server with much more control. WordPress.org has a vast array of options, but can be complicated for less-experienced users. If you have an established business, even if you've never put a website or blog on the Internet, you will most likely be there already. Type your business name and location into the search on your browser and see the results as found by local search and directory sites. Now that's exciting. But even better, you have some control over what is being presented, and you can expand the search results even more. When you do a search for your business there are a number of other directory sites that also show up in the results. These include YellowPages.com, merchantcircle.com, Angie's List, Foursquare, Manta and lots more. Simply click on each search result to see your listing. The beauty of these sites is that they allow the owner to "claim the business." So be sure to claim your business on each, and optimize it with your business details. If you want to go further with directories, there are many. The types of directory sites include both free and paid, as well as reciprocal link types. But you want to make sure you look for quality directories that are related to your business or service, and they must be SEO friendly. Social media sites include Facebook, LinkedIn, Google+, YouTube, Pinterest and more. These sites offer a social profile along with pages and/or channels where you can promote your business. You can use them create excitement and engage visitors. They can be used to showcase new products, sales and promotions, or to highlight fun and interactive things such as contests and surveys. "3 in 5 consumers interact with brands on social media," according to Jack Loechner, in his December research brief Consumer Multi-Channel Advertising Peaks Retail Selling. "The most popular channel is Facebook, on which 55 percent of consumers report engaging with brands. Twitter follows them at 21 percent and Pinterest at 10 percent. YouTube videos have influenced a purchase at least once for 53 percent of consumers ... and 17 percent of consumers have discovered a product through Pinterest." Microblogging sites like Twitter and Tumblr are great for publishing short updates. Twitter is gaining popularity because it's so concise and easy to understand. It allows you to take your pet business content and whittle it down to exactly what your audience needs to know. Share bite-sized chunks of news, products information and promotions in a quick 140 characters. An email list is a powerful resource. It allows you to send correspondence via the Internet to your customers and potential customers. One of the best things you can do to grow your pet business is to start sending out regular newsletters and/or blog posts via email. Use every means possible to build your email list. Start by having a pad available in-store at the point of sale for the customer's name and email, and a pad at every event you attend as well. On the Internet, put an opt-in form on your website. Provide a link to your opt-in form on the business pages of your social sites and include a link in every correspondence you send out. Place a flyer with a link to the opt-in form on your website in each of your store bags. Every time you email a newsletter or make a blog post, ask your readers to pass it on to their family, friends and neighbors. These five elements are the backbone of any business presence, but they aren't the only ways to become known and found on the Internet. There are plenty of other social media and networking sites you can expand into, depending on how much time and effort you want to spend. Other types of sites include bookmarking sites, podcasting sites, forums and more. But all these different sites can create a lot of confusion, especially when starting out. So start with the five basic cornerstones, do them well, and you can have a successful pet business presence on the Web.